Nova Interiors originated in a modest workshop in the village of Eyam in the heart of the Peak District in 1985 by Stan Buchanan. In 2000 the business re-located to an 18,000 sq ft fully integrated factory, capable of servicing larger contract projects from concept to installation, in Chesterfield and is now overseen by Managing Director Jonathan Buchanan. It increasingly became apparent that it was time for the business’s branding to more accurately reflect Nova’s values, expertise and market position as a leading UK supplier of custom made furniture solutions for the hospitality industry. We approached Sheffield based branding designers Side by Side to answer our brief and here we take the opportunity to introduce you to the new branding and discuss Side by Side’s design approach with one half of the business partnership, Oliver Booth. 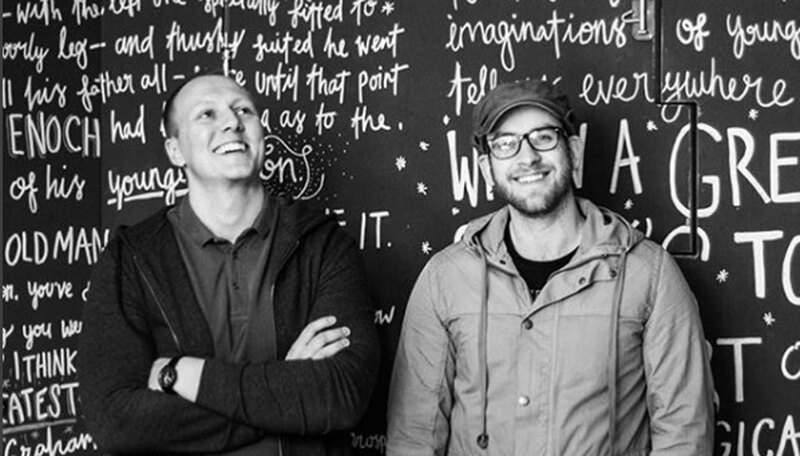 Side by Side was founded by lifelong friends Oliver Booth & Dave Greasley in 2013. After an inseparable childhood, the pair traveled through school and college together before separating at the start of their careers to gain experience in branding and graphic design. The partnership re-formed once they had gained industry leading experience, now able to create designs which engage on both commercial and emotional levels for their clients at Side by Side, specialising in identity and bespoke typography. Oliver and his team began their creative process by visiting Nova and gaining an in depth understanding of our manufacturing capabilities and quality of our craftsmanship. We started this project by studying the art of the craftsmen within their workshop. Through this we became particularly interested in wood-joints and the simplicity of their shapes. We focussed on dovetail joints and used them as a focal element of their brand to portray both craftsmanship and quality. 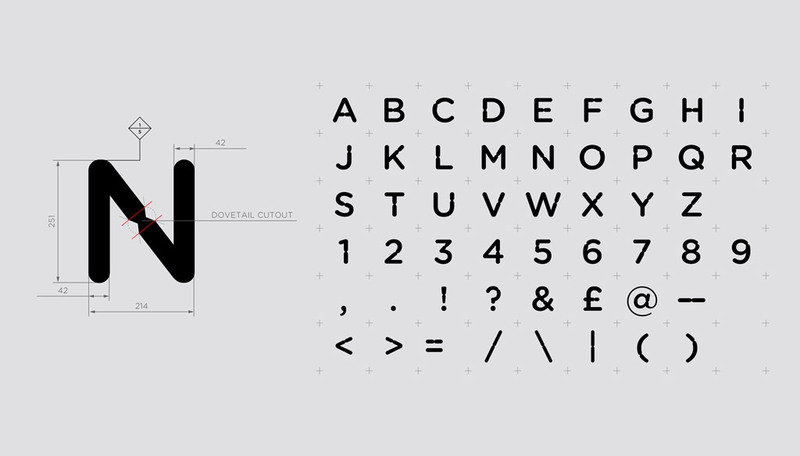 The joint then acted as a tool to sculpt a bespoke word mark and accompanying typeface, Dovetail Rounded. There are few brands who can boast their own bespoke font, a luxury afforded to a small handful of world renowned brands, but it is this asset which enabled Oliver to release the potential of our new branding and allows the branding to be consistently installed throughout our business. Taking onboard the characteristics of the logo we were able to produce a range of icons using the same line weights, curved edges and dovetail cut-out. Our new website represents the possibilities which we offer, no longer focused purely on product but now identifying the service which we are able to offer to our customers. 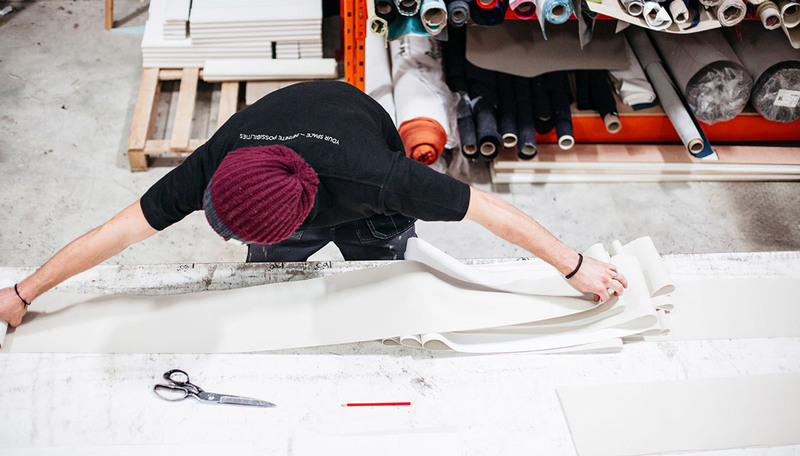 Our team of in-house designers and craftsmen are skilled in assisting our customers to conceptualise a bespoke design which is unique to their interior scheme. All the brand elements come together on their website – a clean, well-branded online space, which showcases their full product range as well as the bespoke nature of their work. The site is built around an E-commerce backbone, to house the hundreds of available products. Large, high-quality imagery helps the website feel like a modern, spacious place. The bespoke icons and colour palette help navigate the user around the site with ease. Oliver utilised the high quality photography we receive of our customers projects to build a strong website aesthetic, complimented by the excellent photography commissioned by Oliver from emerging Sheffield based commercial photographer Alexandra Wallace. Featured in our new website photography is our Chesterfield based team, due to demand from our customers, we have also expanded our capability and have established partnerships with two renowned furniture manufacturers based in Portugal. We only work with trusted suppliers who demonstrate excellent quality management and consistency in delivering products that meets our own exacting standards. Oliver knew that our new brand needed a fresh colour pallet. As with all of his projects the branding began in a monotone pallet, he then began to bring in colour; playing with how pastel colour tones could create contrast with the photography and ‘pop’ off the page. It is always very important to us that our vision of the whole brand, the tone, hue, colours, work well with the style of photography. We work with a selection of photographers, each bringing different skills to the table, allowing us to pick the best person for our client. Side by Side take joy from working with clients who have a clear understanding of why their brand needs to be reconsidered, this keeps their design journey on track, and allows the creation of an expert solution through a thorough concept and development process. We are thrilled with how we can now communicate our business! 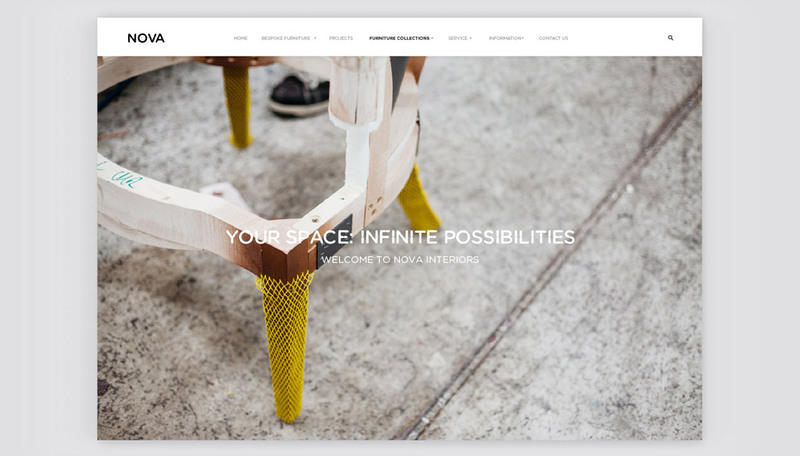 We are confident that Side by Side’s work now enables us to demonstrate what you can achieve through working with our team at Nova. 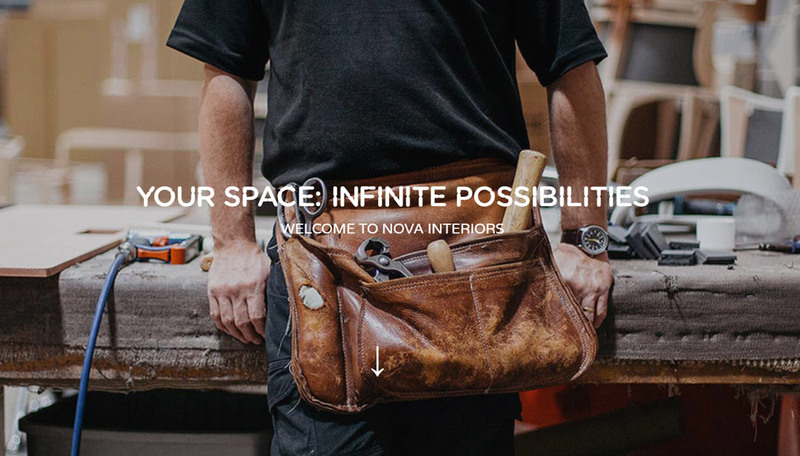 Please enjoy our website and contact our team BY EMAILING SALES@NOVAINTERIORS.CO.UK if you would like to find out more about our services.